JUST ANNOUNCED — You can order our CD’s and a 30 minute professionally-produced documentary DVD that tells the story of the Kimball Theatre Pipe Organ online with your credit card. The transaction is secure. Click here! 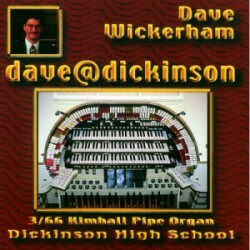 The Dickinson Theatre Organ Society is pleased to offer, for your enjoyment, the following compact disks and booklet. These are always available for purchase prior to and during the intermission of each regular season concert. Can’t make it to a concert and would like to purchase some of these items? No problem! Click here to access our order form in Adobe Acrobat’s PDF format. If you do not have Adobe Acrobat Reader, click here to get it for free. Please be sure to fill out all of the information required on the form so that we can process your order correctly. Once you have completed your order form, mail it, along with your check or money order made out to Dickinson Theatre Organ Society, to DTOS Music Shop, c/o Bob Dilworth, 2012 Wildwood Drive, Wilmington, DE 19805-1061. And … thanks for supporting the DTOS Music Shop! 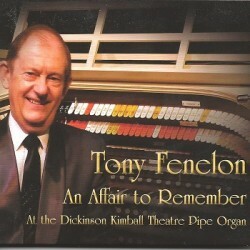 Noted theatre organist and concert pianist from Australia, Tony Fenelon, plays The Mighty Dickinson Kimball Theatre Pipe Organ, with organ and piano arrangements. This is the first recording of the Kimball in 8-channel 24 Bit high-resolution. Spectacular sound! Dave Wickerham (U.S.), one of our most popular DTOS Concert Artists, plays selections that include a Broadway medley, Chopin transcription, ballads, waltzes, rags and a hymn, showcasing the diverse musicality of the Kimball. Noted concert performer, teacher and musical arranger, Jelani Eddington (U.S.) has selected music that aptly portrays what the theatre organ is often called, a “unit orchestra”. Discover here the vast tonal capabilities of this remarkable instrument! A second name for this CD was suggested by the artist Ken Double, “The Crooners, The Producers and The Kimball”, as he plays music made famous by Frank Sinatra, Nat King Cole, Tony Bennett, the Ink Spots and the Broadway show “The Producers”, among others. 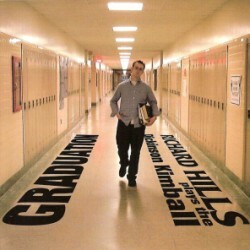 Richard Hills (England) was graduating University around the time of this recording so he thought it would be a fun idea to title his album “Graduation” with the tie-in of the Kimball located at Dickinson High School . Richard is one of the finest and most sought-after theatre organ musicians on the concert circuit today. He is a remarkable player with great upbeat high tempo dexterity. 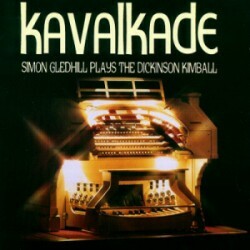 Often said to be the best theatre organ CD ever made, Simon Gledhill (England) presents a variety of popular music, often up-tempo, often lush and always well played with more than a dozen “cuts” from Broadway to Hollywood with lots of theatre in between. He is at the top of the list of perennial favorites with the DTOS concert audience! 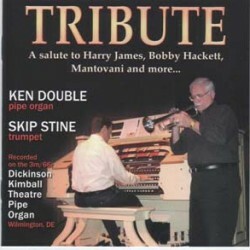 A DTOS concert featuring Ken Double on the organ and Skip Stine (former Harry James Orchestra member) on the trumpet was so well received that a recording had to be made! 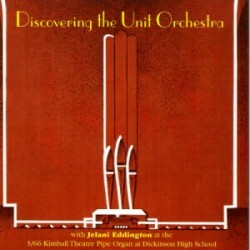 It is the best combination of the Mighty Kimball Theatre Pipe Organ as the Big Band sound to one of the finest trumpet virtuoso of that genre! 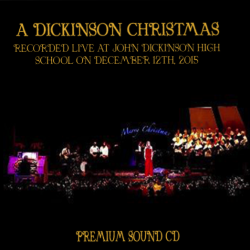 A 65 minute collection of sacred and secular Christmas music. 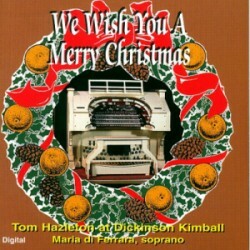 In four of the 17 selections, Mr. Hazleton is joined by his wife, Soprano Maria di Ferrara.